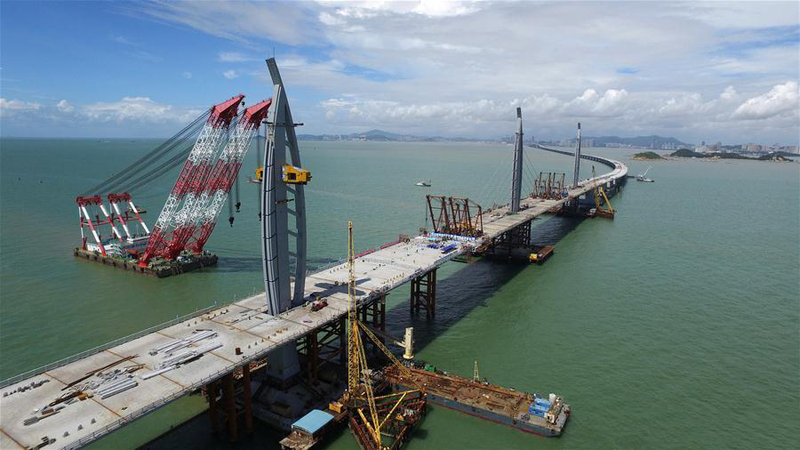 The major construction work on the world’s longest cross-sea bridge, which connects Zhuhai in Guangdong Province with Hong Kong and Macao, was completed Tuesday. A ceremony was held in Zhuhai to celebrate completion of the 55-km cross-sea route and to mark the start of road surfacing and related work. 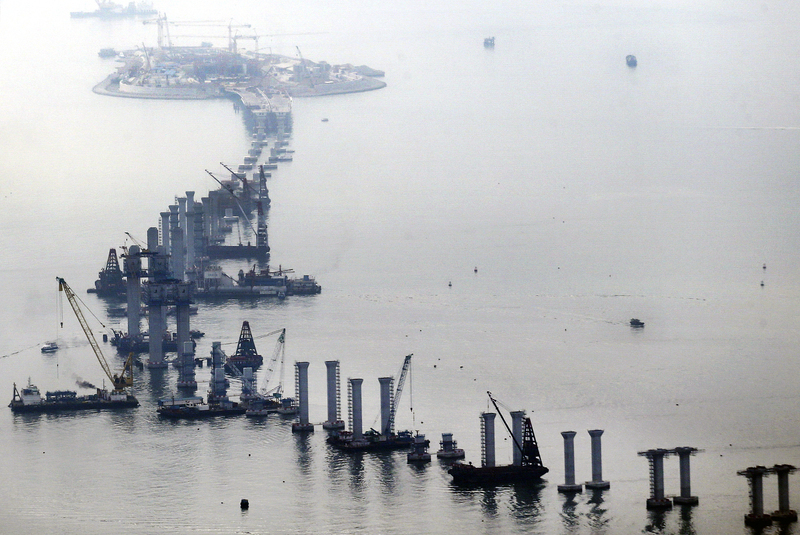 The Hong Kong-Zhuhai-Macau Bridge site. “This means construction has entered its final stage,” said Zhu Yongling, head of the administration bureau of the bridge. More than 400,000 tonnes of steel have been used for the 6.7-km undersea tunnel and 22.9-km bridge, enough to build 60 Eiffel Towers. Construction began in December 2009 at Zhuhai. The Y-shaped bridge starts from Lantau Island in Hong Kong with branches to Zhuhai and Macao. 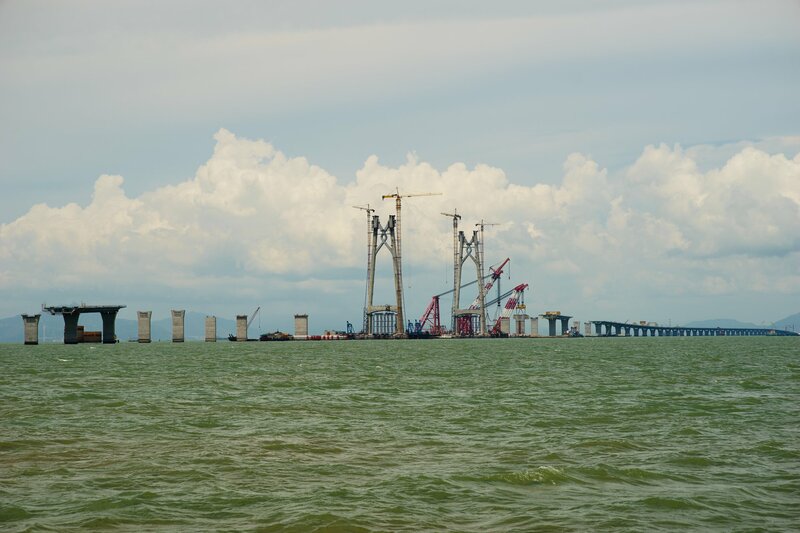 The bridge will cut travel time from Hong Kong to both Zhuhai and Macao from the current three hours by road or one hour by sea to a half hour drive, Zhu said. Su Quanke, chief engineer with the administration bureau of the bridge, said the project has made history in many aspects. 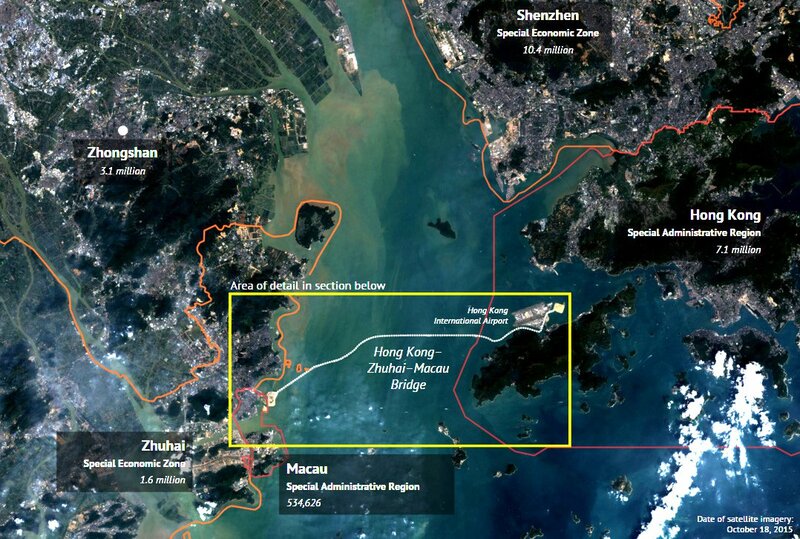 Located near the airports of Hong Kong and Macao and over one of the world’s busiest shipping routes, where more than 4,000 vessels pass by every day, the project could not interfere with the daily operations of the vessels and the airplanes nearby. 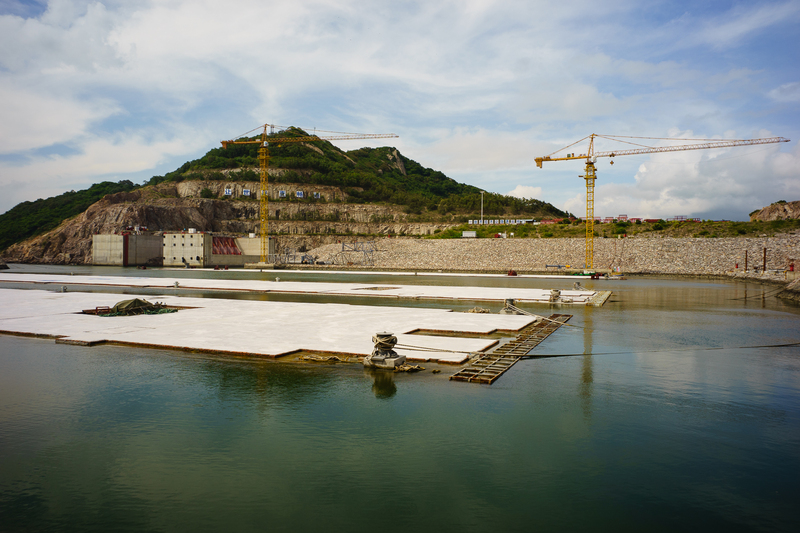 Maritime protection was also important as the construction region is overlapped with the reserve of Chinese white dolphins, an endangered species that enjoys top level state protection. 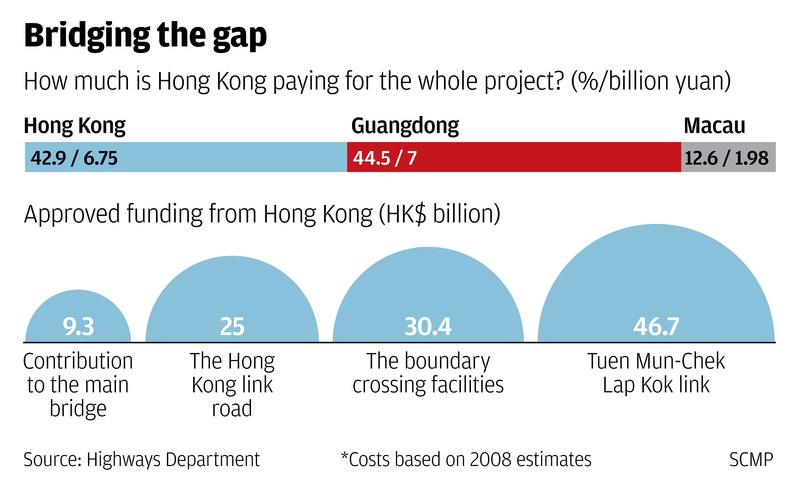 “The special position and the super-long status of the project were challenges,” he said. According to Su, this was the first time China has built an immersed tube tunnel in open waters. Two artificial islands made of steel pillars were created to connect the bridge, the first time this process has ever been used. With a series of world advanced anti-erosion and earthquake-resistant measures, the bridge can be operational for 120 years, he said. 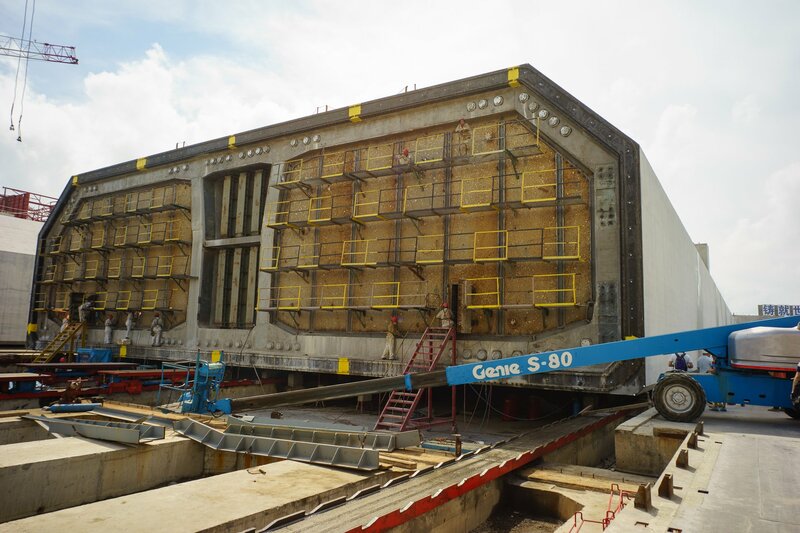 Major parts, including bridge deck units, piers, girders and steel tubes, were produced at plants and then assembled piece by piece on the water with large floating cranes. 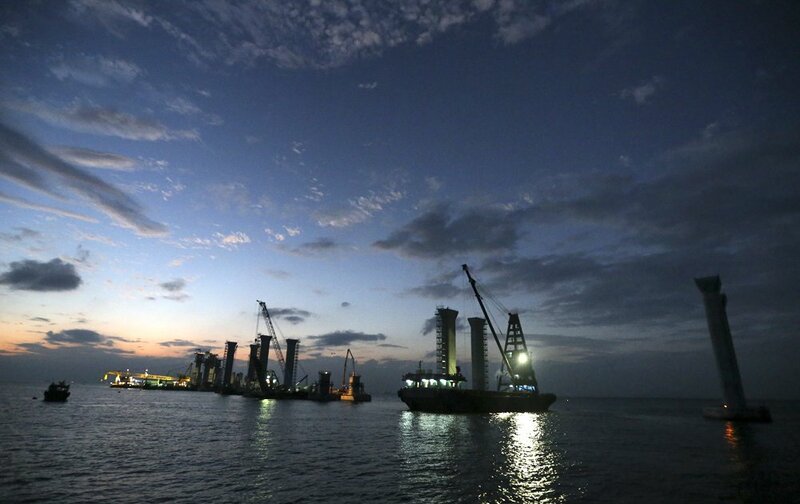 Luo Jinhong, a section manager of the project, recalled when the dolphin-shaped bridge tower, weighing up to 2,786 tonnes, was assembled. 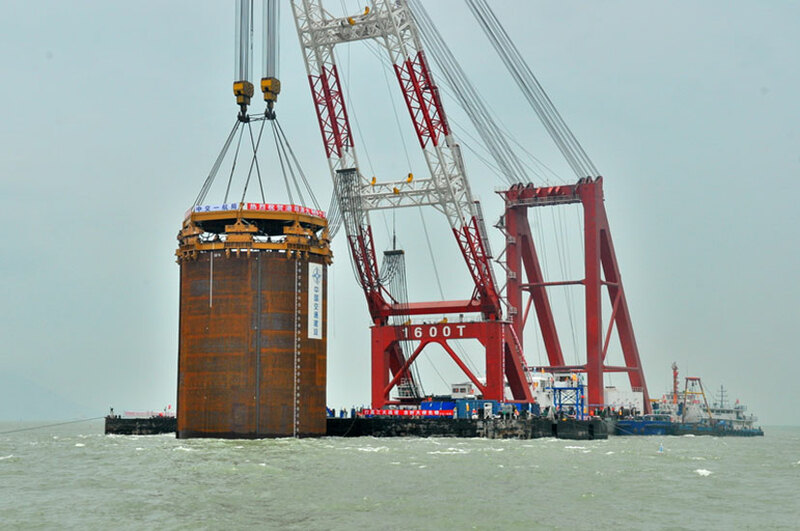 “Two floating cranes, with a load capacity of 3,200 tonnes and 2,300 tonnes respectively, worked together to lift and roll the tower, setting a world record,” he said. 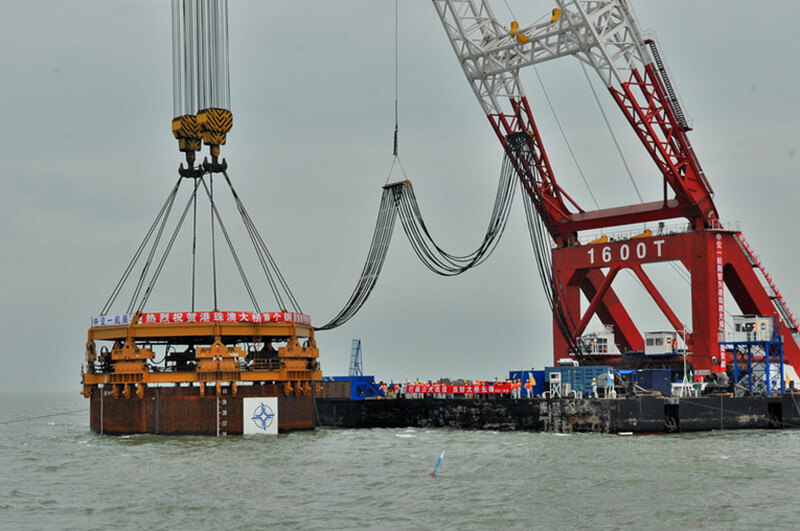 “If it were not for the progress of ‘Made in China,’ we couldn’t possibly have realized the construction in such a short a time, considering the maximum load capacity of a floating crane was only 100 tonnes 15 years ago,” he added. To build the bridge, China Railway Shanhaiguan Bridge Group purchased two loaders, costing up to 130 million yuan (nearly 20 million US dollars) each. It envisages future opportunities to use the loaders after the project. “No matter whether we work in the domestic or international market, we are fully confident,” Wang Shuzhi, project manager of the group. 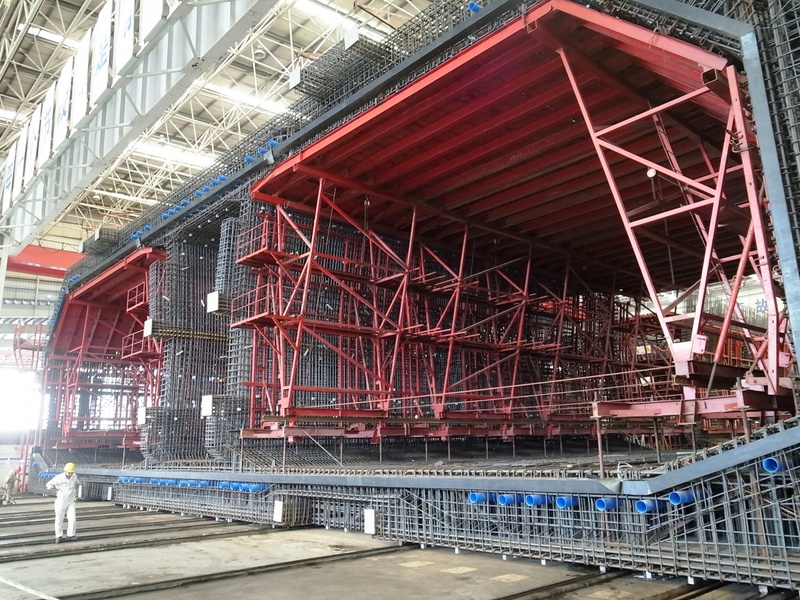 Chief engineer Su said the bridge construction project profiles advances in machine manufacturing, new materials, new technology and new skills. “The ‘China technology’ and ‘China standard’ set by the Hong Kong-Zhuhai-Macao Bridge will influence the world market,” said chief engineer Su. Construction of 6,140m long seawall and reclamation of an area of about 150 hectare at the northeast of the Hong Kong International Airport for development of the Hong Kong-Zhuhai-Macao Bridge Hong Kong Boundary Crossing Facilities.